Satisfy your craving for speed with the Nike Zoom Elite 8. 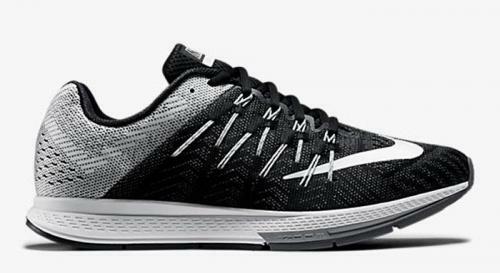 With a Zoom Air unit in the forefoot, this neutral trainer provides responsive cushioning that offers protection on the roads with an energized, quick feel. An all-new Flymesh upper provides a breathable and adaptive fit, while Flywire cables secure the foot for fast paces. It all adds up to a fast package ready to take down your everyday training miles.